Leprechauns are sneaky little buggers. They always cause mischief and they never get caught. This year we’re going to try to lure one into a trap with Leprechaun donuts. Melt the chocolate. Add food coloring if you want, then dip the tops of the Cheerios® in the chocolate. Sprinkle while wet, then let dry on a plate or wax paper. If the hole of the cereal becomes clogged you can use a toothpick to poke the hole back in while the chocolate is still wet. Once dry, place the doughnuts in the box. Aren’t they so cute?! 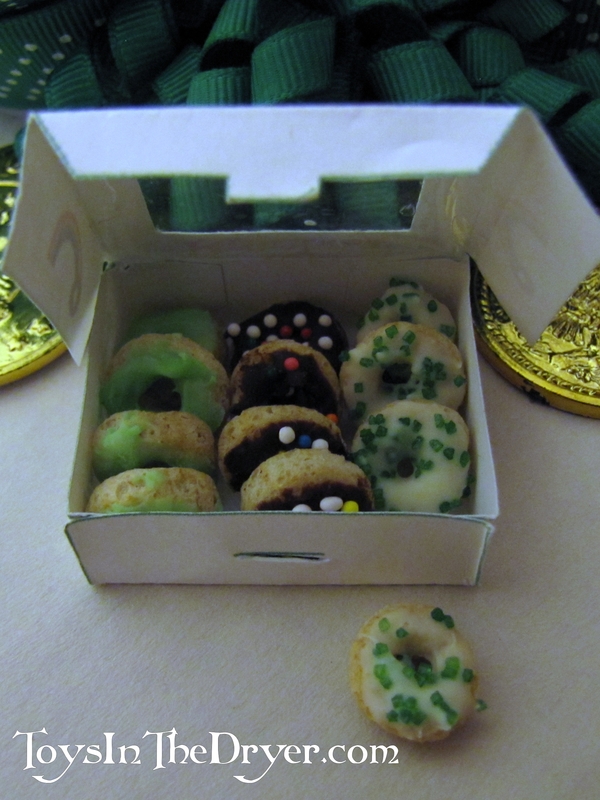 My girls wanted to eat them themselves but we need to save them for the Leprechauns! Click on the photo below for the free Leprechaun Doughnut box printable. When downloading, make sure you click on this download button and THIS BUTTON ONLY. It is small and below the preview. *Cheerios® is a registered trademark of General Mills. This post is not associated with either General Mills or Cheerios®.